The committee of bank lenders for the main operating unit of Caesars Entertainment Corp's (CZR.O) have announced that they might walk away from their plans to rescue the casino company from bankruptcy and its USD 18 billion debt. If these lenders come through on this threat, they could potentially send CZR.O’s high- stakes reorganization plans into total disarray. CRZ.O filed for Chapter 11 protection in January 2015. At the time, the company had reported an outstanding debt of USD 18 billion. Creditors of CRZ.O accused the parent company, Caesar’s Entertainment Corp., to have looted the unit, which resulted in the bankruptcy. Creditors' alleged that the parent company caused this ruin by holding on to choice assets such as the Linq Hotel & Casino complex in Las Vegas. Because of that, the creditors of CRZ.O have collectively made claims worth many billions of dollars from the parent company. Caesars Entertainment, however, has denied the allegations. They have on the other hand, pledged to contribute around USD 5 billion towards CRZ.O's reorganization plan. This generous donation will only be paid in exchange for the company’s creditors dropping their claims. After more than a year of intense negotiations, the clear majority of creditors have also agreed to support a reorganization plans. Under the plan, the unit will be split into two parts. This will include a real estate investment trust, which will be controlled by the lenders. Also to help fund the plan, Caesars will give creditors stock in a new and separate operating company. The new operating unit will form part of a new restructured Caesars. This group will be created by merging the currently bankrupt unit with another affiliate, Caesars Acquisition Co (CAC). Earlier this year, in July 2016, the company affiliate agreed to sell all of its online games units. Total value of all their assets was estimated at USD 4.4 billion. If it all goes according to plans they will manage to collect the whole USD 4.4 billion from the sales. This money could then be used to help fund the new casino operator. In the court filing, CRZ.O said that the overall new financing is a condition to fund creditor recoveries under its reorganization plan. Besides that, the money is also expected to go towards some of their other unspecified needs. According to a court filing from Wednesday, the 2nd of November, the unit had begun a process to raise USD 3.8 billion to exit the two- year bankruptcy. Kristopher Hansen, one of the lawyers representing the bank lenders committee told the U. S. Bankruptcy Court in Chicago at a hearing on Tuesday, the 6th of December 2016, that the committee has yet to resolve a dispute over the terms of their recovery. The committee includes bigwigs such as the Blackstone Group L. P.'s GSO Capital Partners (BX.N). The Blackstone Group L.P. is the largest alternative investment firm in the world. Based in New York, the American corporation specializes in private equity, investment banking, alternative asset management and other financial services. Hansen said the lenders would inform the court on the status of the deal by the 14th of December 2016. This is around a month before a scheduled confirmation trial for Caesars Entertainment Operating Co Inc.'s long- running bankruptcy case. The date for the trial has been set as the 17th of January 2017. Hansen also mentioned that without a proper deal, the committee would have to terminate their restructuring support agreement. This would force the confirmation trial date to be further postponed. The committee of bank lenders were among the first to provide support towards the reorganization plans for the CRZ.O unit. However, they have now made it clear that their support would depend on documentation. They wish to see paperwork that ensures the market value of the non- cash consideration that they are set to receive under the plan. Without the documentation, committee members would have no choice but to change their votes on the plan. In a court filing from the 21st of November 2016, they expressed how important this is for the rescue of the bankrupt unit. 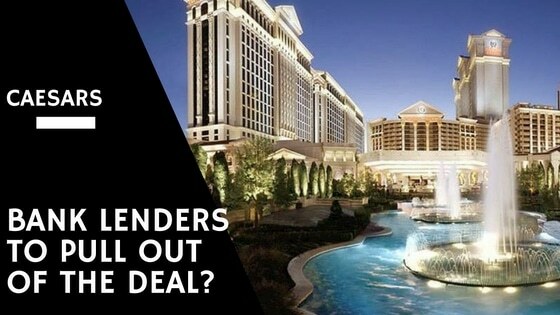 They stated, “Simply put, without the consent of the bank lenders, the plan completely unravels.” Caesars Entertainment Corp. did not issue any comments on the matter. Besides the committee of bank lenders, the only other major objection to the reorganization plans came from the U. S. Trustee. The United States Trustee Program is a component of the Department of Justice that was established by the Bankruptcy Reform Act of 1978. According to their mission statement, their primary role is to serve as the “watchdog over the bankruptcy process.” They seek to promote the efficiency and protect the integrity of the Federal bankruptcy system. The Program monitors the conduct of bankruptcy parties and private estate trustees. They oversee related administrative functions and acts to ensure compliance with applicable laws and procedures. They also identify and help investigate bankruptcy fraud and abuse. this has to be done in coordination with law enforcement agencies. The principal duties of the U.S. Trustees are to supervise the administration of liquidation proceedings under chapter 7, reorganization proceedings under Chapter 11 and the reorganization of family farms and fishermen under Chapter 12. They are expected to appoint and supervise private trustees, prevent fraud and abuse, inform investigation and criminal prosecution when appropriate, and ensure efficient administration of bankruptcy estates and reasonable professional fees. They are also responsible for appointing and convening creditors' committees in Chapter 11 business reorganization cases. They review disclosure statements and applications for the retention of professionals. Finally, they also advocate matters relating to the Bankruptcy Code in court. In the CRZ.O bankruptcy case, the U.S. Trustee opposes the legal releases that the plan would grant to Caesars Entertainment Corp. and its private equity sponsors, Apollo Global Management LLC. and TPG Capital Management LP. However, a U. S. Bankruptcy Judge, Benjamin Goldgar, questioned the U. S. Trustee in court on Tuesday, the 6th of December 2016. He mentioned that he did not understand why they were opposed to a plan that has won the support of the parties that stand to lose or gain any money. If all goes to plan, the bankruptcy case will be finalized in the earlier half of the new year.